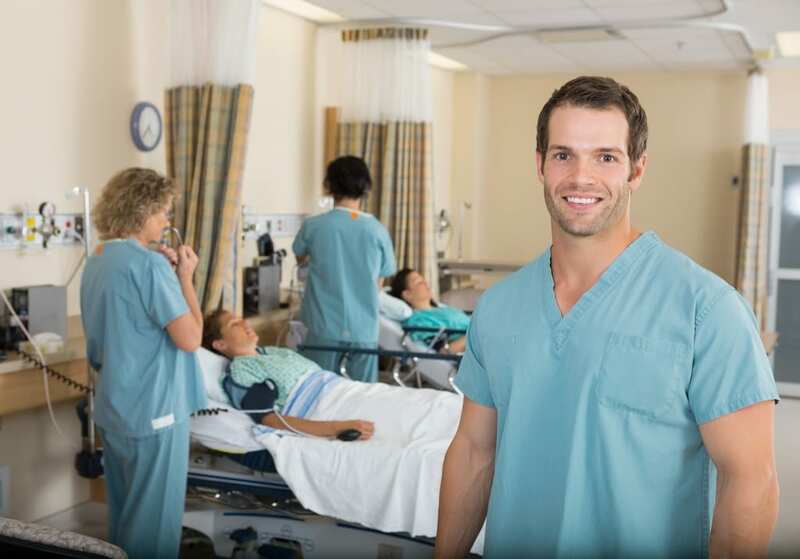 CNAs execute basic nursing duties at hospitals, adult care centers, long-term care facilities, community based-homes and home healthcare agencies. All throughout New York, nurse aides must complete state-approved Nurse Aide Training (NAT) before they begin work at licensed facilities. Upon completion of the training, graduates must apply for and pass the Competency Evaluation Program (CEP) as part of the requirements for listing on the New York Nurse Aide Registry. Approved nurse aide training programs must provide a minimum 100 hours and adhere to the curriculum developed by the NY Department of Health (NYDOH) and the NY State Education Department (NYSED). Nurse aide education programs ensure that students get the skills and knowledge they need to provide safe care while protecting residents’ rights. Training comprises of 70 hours of classroom training followed by 30 hours of clinical practicum. 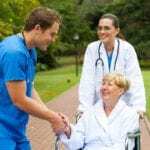 Prometric administers the competency evaluation to New York nurse aides and also manages the nurse aide registry. The Adult Nurse Assistant program at Capital Region Career and Technical School equips students with the knowledge and skills to provide supportive caregiver services at long-term care facilities. The program uses classroom education and clinical practicum to give students a well-round education over the course of five weeks (full-time) or 8 weeks (part-time). Full-time students meet Monday through Friday from 8:30 am to 3:00 pm and part-time students meet Monday through Friday from 3:00 pm to 7:00 pm. Units of study include scientific principles, introductory nursing skills, safety and mobility, patient care and comfort, responding to emergencies, role of the nurse aide, infection control, nutrition and fluid balance, body systems and employment opportunities. Upon completion of the training, students are prepared to take the nurse aide competency evaluation. Tuition is $1,700 plus expenses for the application fee, a commitment fee, books and uniform and New York state test fee. The nursing assistant program at Mildred Elley prepares students for a career in one f the fastest growing fields. The 5-week program includes classroom instruction and practical learning experiences in a skills lab and community nursing center. Graduates are prepared for success on the written and clinical skills certification exam. The curriculum covers all the essential students need to provide personal care for residents in nursing homes and patients in hospitals and nursing homes. Areas of study include infection control, anatomy and physiology, communication, nutrition, mental health, patient transfers, laws and ethics, patient rights and transfers, and rehabilitation and restorative techniques. The classroom lectures and clinical experience will be conducted by a qualified member of faculty. A background check and physical exam may be required for participation in the clinical experience. The Nursing Assistant program at Hudson Valley Community College prepares students to sit the New York State Nurse Aide Certification for certification as a nurse assistant. The curriculum features 90 hours of formal class lectures, demonstrations, presentations, and skills training to prepare students for the 30-hour supervised clinical experience at a long-term health care facility. Qualified instructors emphasize special needs of the elderly, bed making, basic nursing skills, reporting and documenting, infection control, and safety in the delivery of patient care. Classes meet Monday through Friday from 8:30 am to 2:30 pm for classroom days and 7:00 am to 1:00 pm for clinical days. To enroll in the program, applicants must attend EOC admissions process, take the TABE test and score at least 561 on the Reading Score Scale and 538 on the Math Score Scale, provide immunization documentation, complete a physical exam and TB clearance, and submit all required documents prior to the first day of class. Tuition at the EOC is free for eligible students. Students may pay for the State Certification Test and purchase uniforms for the clinical hours.